Capture the entrepreneurial spirit within a traditional workplace. Intrapreneurship sounds like one of those goofy new words that make people’s eyes roll when they hear it. Perhaps you’re rolling your eyes now, but the truth is that the word and concept has been around for decades and is embraced by most work cultures that hold growth and leadership as key ingredients to lasting success. Steve Jobs popularized the word in the 1980s when he attributed Apple’s innovative spirit and success to it: “The Macintosh team was what is commonly known as intrapreneurship … a group of people going, in essence, back to the garage, but in a large company.” Simply stated, intrapreneurship is the act of behaving like an entrepreneur while working within an organization, including the willingness to accept risk and sometimes failure. Most of what you’ll read about on the topic of intrapreneurship tends to focus almost exclusively on the tech world, but we can glean a lot from this. Tech companies provide time and space to be creative and test new ideas. For some companies, it’s 10 percent of an employee’s time, while others aim for 20 percent. This time to think and act on ideas has resulted in huge wins for some companies. Gmail, the most popular personal email application, is a result of Google’s 20 percent policy. W.L. Gore, a company most well-known for Gore-Tex, gives staff 10 percent of their time to develop new ideas. One employee who was also a musician thought the company’s pull cable coating could be used to make guitar strings more comfortable on the fingertips. While it didn’t improve comfort by much, it did help make the strings’ tone last longer. Years later, W.L. Gore’s company, Elixir, now makes the No. 1 selling acoustic guitar string. The intrapreneur, by traditional definition, was usually in a higher supervisory/leadership position, driving teams and technologies. I broaden the definition here to include anyone in an organization who contributes ideas, propels change and takes some risks in going beyond her roles or responsibilities. Intrapreneurial behavior comes from all levels of an organization and more often in those organizations that support the behavior. Intrapreneurs don’t necessarily aspire to launch their own companies, but they have the same traits of entrepreneurs. They solve problems but also look to the future to things no one has thought about. Bottom line, intrapreneurs create value. What Do Intrapreneurs Look Like, and Where Do They Come From? The Look for new opportunities. Intrapreneurs are always assessing the needs of their organization while, at the same time, keeping an eye on their peers and emerging trends. You don’t need to attend every conference, but you should try to connect with your peers and see what they’re doing. Keep scanning all available sources of information to find emerging tools and techniques, and be aware of what’s happening outside of your field that might offer some interesting new approaches to how you work. Tarak Shah, the associate director of prospect analytics at UC Berkeley, is always interested in new ways of gaining insight from data and data mining, and he posts a lot of the work he’s doing on his blog, Upon Inspection. The blog is a great example of how intrapreneurs think, looking to answer questions in new ways with new techniques and data. Shah is interested in creating new insights that will be useful to fundraisers as well as novel approaches to prospecting that can save time by getting at the information needed most. In his bio, Shah mentions that one of the reasons he started the blog was to motivate him to keep learning. That’s a key attribute for anyone with the intrapreneurial bug — and just a good life rule in general. Trying new ways of looking at your data, gleaning insights and looking beyond what is the usual way we work in prospect development will always yield interesting results but, more importantly, it keeps you in a growth mindset. If you’re in a growth mindset, your organization is in growth mode. They focus on people, not the technology. Who is your customer? Why do they need it? Will it help them or hinder them? Intrapreneurs know that a great idea won’t get traction without buy-in. Intrapreneurs build products around needs not because it’s a cool thing to do. A great example here is from Memorial Sloan-Kettering Cancer Center where Kate Chamberlain, director of analytics, recently hired a new analyst with a background in industrial engineering and experience implementing Lean management techniques to optimize processes. She didn’t hire him for this specifically, but she quickly realized that his skills could be an asset in improving their prospect management system as well as other processes that might not be optimized for ease of use and efficiency throughout advancement. Working with the model of value stream mapping, her analyst works directly with the people using tools Chamberlain’s team supports to identify where they encounter roadblocks to effective use, duplication or other situations that can be collectively called waste. Chamberlain and her team are listening to the enterprise in this new approach to redesigning certain processes, keeping the big picture of fundraising in mind by focusing on the specific struggles encountered by individual staff. By including the very people we want to help in developing new ways of thinking, we are not only more likely to have a much deeper understanding of their challenges, but also more likely to build around their needs. Of course, embracing an inclusive approach builds trust that may not be there if we just launch a new process or tool without feedback. We’re not doing things to people but for them. They accept failure and move on. Not every idea is the best one, but you won’t know this if you do not try. Intrapreneurs accept a certain level of risk in their work, understanding that they may work hard on developing an idea that doesn’t turn out to be the best solution. A good example from my own experience was an interactive self-service prospecting tool I created for our fundraisers in regional giving to filter lists of prospects by region and a few other key traits. While it was a dynamic and useful report, the filters were slow, the ability to export lists complicated, and the whole thing just didn’t render well on the laptops or tablets they used while on the road. It was disappointing to see so little use, but the feedback given was invaluable and will help inform how we build and deliver this report in the future. In the meanwhile, sometimes the simplest solution — in this case, just having our regional fundraisers request the list that takes us 10 minutes to build — is still the most effective solution. Failure is a part of risk-taking. We’re not taking huge risks here, and the example I gave was far from it. Yet what we learned couldn’t have happened had we not done this. They are persuasive, great communicators. Communication is king these days, and if you can’t make a case for why your idea will work, you’ll find little traction. Organizations aren’t always the most hospitable places for new ideas. Every successful entrepreneur has a well-honed story to tell, and this holds true for the intrapreneur. Stories not only provide context and establish the need, a well-crafted one appeals to the heart and the head. They also establish your credibility and create trust. Appealing to emotion as well as logic is crucial in getting people on board with new ideas. Knowing how to balance these two ways we process new information will help build enthusiasm and confidence in your ideas. Good stories tell an investor (your fundraisers) not only the value of your product or service but why it’s needed (context), what might happen without it (logic) and what’s in it for the fundraiser (emotion). Know who they are, what they do, how they do it, what they need and what’s at stake. If you have early adopters, bring them into the story or have them tell it. You are more likely to try something new if someone you know has. This is basic human behavior; use it to your advantage. Finally, keep it short and simple. If you need an hour and a 30-page slide deck, then you aren’t telling a story; you’re teaching a class. A good story takes five minutes. If you want to know who tells great stories, find a successful fundraiser in your organization and ask them what they do. Fundraisers use the very same techniques to connect personally with prospects. Why wouldn’t we do the same for them? They work for organizations that support and foster growth among all employees. At the University of Washington, a monthly talent share meeting is scheduled to give staff an opportunity to hear some of the new ways their colleagues have approached a project or a challenging question. The brainchild of Kelly Riutta, associate director of advancement research, monthly talent shares give recognition to staff for their creativity and hard work but also inspire others to think out of the box as well. This sort of work culture fosters the intrapreneurial spirit and also helps keep staff engaged with their work and the mission of the organization. If you’re in a supervisory position at your organization, make time for new ideas, encourage staff to include a project that might improve how they do business in their annual goal planning and make sure to recognize a staff member for their work. Your staff are also stakeholders, and being reminded that their ideas matter and that they make meaningful contributions create a workplace that’s more enjoyable and growth-minded. You may not be able to afford 20 percent like Google, but even 10 percent can yield big returns. Growth – Intrapreneurs help grow their organizations. You can’t have growth without new ways of thinking and doing things that add value and have impact. Rely on people within your organization, the people who are passionate about the mission, to develop new ways to improve outcomes and drive success. Change – When employees are asked to take risks and be creative, change becomes an easier process and part of the work culture. Leadership – Being in a growth-minded workplace that fosters intrapreneurial behaviors has the corollary effect of fostering strong leadership skills. Strong leadership, formal or informal, supports a thriving organization. Engagement – People who are encouraged to contribute their ideas and are recognized for this are happier and more committed. People who are not encouraged or rewarded will eventually go to the places that do. If you want to keep talent, you have to know how to support it, and fostering the intrapreneurial spirit will go a long way in keeping staff engaged and the right people on board. One of the reasons I love where I work and the work that I do is that it is an ever-changing landscape. New tools, new processes, new ways of understanding our prospects and donors, and new approaches to building strong, collaborative relationships with our colleagues in all areas of fundraising. We get better at the work we do through iteration, keeping our ears open to new trends, and being willing to act on a new idea. Intrapreneurship is accessible to anyone who is passionate about supporting their organization’s mission, open to thinking out of the box, accepting of risk, and able to effectively communicate their ideas to diverse audiences. 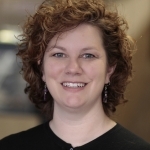 Jennifer A. MacCormack is the associate director of advancement analytics at the University of Washington. MacCormack is responsible for implementing analytical solutions across university advancement, including major giving, planned giving, annual fund and the alumni association through the use of appropriate and innovative approaches and technologies. 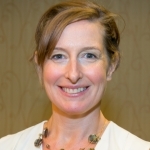 Her work includes integrating descriptive and predictive analytics to improve decision making and workflow efficiency, deliver greater insight with data, and support strategic thinking across all advancement units. MacCormack came to this role after more than a decade in grant writing and then prospect research. She received her bachelor’s degree in anthropology from SUNYStony Brook and her doctorate in anthropology/ Near Eastern studies from Yale University. She is currently president of Apra International and has also served on the boards of DRIVE/conference and Apra-NW. She has spoken widely at Apra and CASE on topics related to prospect research, analytics, management and leadership. Nice article Jen. this helps clarify an important role we can play. thanks!